Millennials, the demographic every marketer is aiming to reach this holiday. The same methods that worked for previous generations isn’t going to work as their buyer behavior is much different we are told. They don’t shop in stores, they do everything from their mobile phones. If this is what your perception of a millennial is, chances are you aren’t one yourself. This large population (83.1 Million in the US) born in the 80’s and 90’s grew up with the Internet and are more experiential than the previous baby boomer generation. They came of age during the ‘Great Recession’ and represent $1.3 trillion in spending power every year. But they don’t shop in stores do they? The Millennial consumer is not an endangered species at retail. They shop in stores just as much as previous generations, and this holiday season 92% plan to spend money in a physical store. But how they are shopping and transacting in stores is radically different. Millennials actually prefer shopping in retail stores when given the choice and value being able to touch/feel products plus the immediacy retail provides. 84% of millennials have used their smartphone in store to lookup product reviews. They value the opinion of people like them to affirm their purchase as opposed to influencers who have been paid to endorse products. 76% of Millennials have placed an online order in the store pointing to the fact that they showroom. Showrooming is the practice of visiting a store to experience/see a product and purchase it online later. 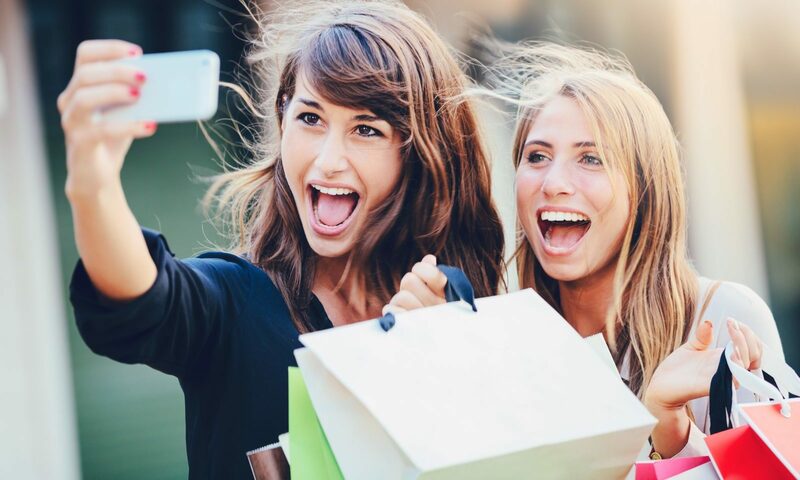 In a world that has become very digital, Millennials want to connect with people at retail and turn what used to be a transaction into an experience they can enjoy and share with others posting on instagram along the way. Millennials are buying more experiences than products, so why not turn the purchasing transaction into an experience. They seek authentic brands who care about culture and community to feel they belong to a physical place and bring a sense of familiarity along with profit. It is no surprise that the rise of online sales are seen as taking over physical retail. But the fact of the matter is that regardless of generation, the store is still central to influencing consumer purchases either before, during, or after purchase. As 9 out of 10 sales are derived as a result of brick and mortar stores, online sales are only rising as a result of physical retail. 75% of omnishoppers search in store and buy online and typically spend more than single channel shoppers.